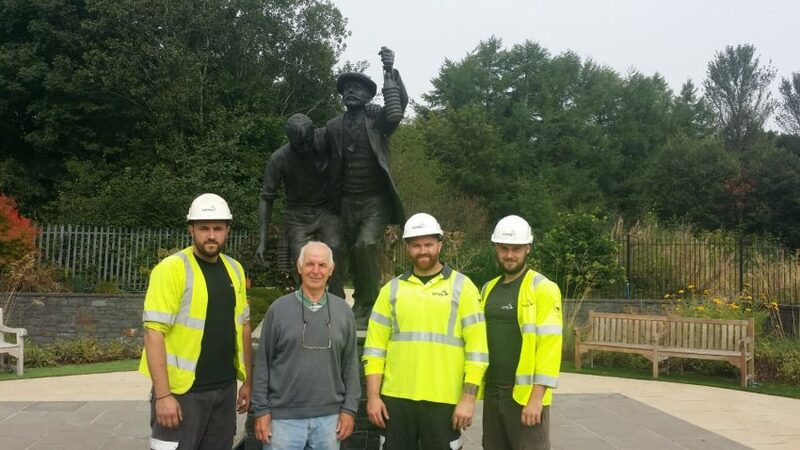 While the scorching hot temperatures were enjoyed by many this summer, volunteers at the Universal and National Mining Memorial Garden in Senghenydd struggled to stop the lovely heathers and lawns from dying from lack of water. Trying to get water from the single connection near the entrance to the rest of the garden proved to be a mammoth task. Aber Valley Heritage Group, which is responsible for the upkeep of the garden, put out a call for help to avoid the same problem in future and Welsh Water contractors Amey Construction answered their call and put in extra points. A spokeswoman for Aber Valley Heritage Group said: “They sent along our saviours, Ryan, Ben, Kurt and Adrian who quickly, efficiently, and with good humour extended the water supply with easily accessible water points all along the perimeter of the garden.